Text: In his journey of 67 years from Uganda to the UAE, he has learnt and used a simple lesson: “Personal success is achievable for anyone who practices the fundamental keys to success”. Raghu Kataria grew up in a small township called Jinja in Uganda, and spent his childhood days at the sugar plantations in Kakira in Uganda. The generalization that to achieve great success, one has to overcome great struggles, is true in his case. However, he had a burning desire to do something big in life, and for that his formula was simple: whatever you do, do it in the best possible way. Following this simple philosophy, he excelled in sports, then education and then in business. Every year during holidays, he interned in a different industry using his father’s contacts. He learnt at an early age that one must derive pride, and a sense of responsibility and satisfaction in all kinds of work, even if others find them menial. To achieve something big in his life, Raghu Kataria decided to go to the UK for higher studies. At the age of 16, it was a tough decision to shift to the big and happening city of London from a small township in Uganda. Managing frugally with limited resources, he shared an 8ft x 10ft studio and a small folding camp-bed with his friend, while pursuing higher studies. For his monthly expenses, he would receive an allowance of £50 per month. Life was tough, but he persevered and qualified as a Chartered Accountant. After studies, he went to Hyderabad in India to help a friend with an irrigation equipment project. However, the project failed and he found himself without any money. He borrowed money, went back to London and stayed with a friend. In lieu of rent, he worked for him in his shop. Luck favours the brave, the prepared and the hard working, and soon, he found a job with International Computers Limited (ICL) through the Job Centre in London, and worked there for 17 years under John Bishop, whom he still regards as his mentor. In 17 years, he gradually moved up and eventually became ICL’s treasurer for Europe, taking care of all levels of financing, forex exposure and relationships with banks. When ICL was acquired by Standard Telephones & Cables (STC), it wanted to sell a cable business in Thailand. Unfortunately, the funding structure in Thailand was different and STC lost interest. This was when Raghu Kataria saw a glimmer of opportunity. Taking another chance, he presented a plan to the Finance Director of STC, but couldn’t excite him to take a definitive decision. Though the requisite funding and excitement from STC was lacking, Raghu had such conviction in the idea that he decided to pursue the business of telephony by laying deep-sea fibre-optic cables through a concept of build-operate-transfer in Thailand. He raised investment funds from a merchant bank and from local Thai banks, and soon established a successful business – Jasmine Telecom. It prospered and in 1990 Goldman Sachs took it public. Believing that “One must not ponder on whether it is easy or difficult to operate in emerging or developed markets, more important is to stick to fundamentals of doing business no matter what the landscape”, he tried the same strategy in India. Soon, Jasmine Telecom got the opportunity to set up a mobile telephony company in India (JT Mobiles, short for Jasmine Telecom Mobiles) with some partners from Thailand and Swedish Telecom. He later merged JT Mobiles with Sunil Mittal’s Bharti Mobiles to create what is known as Airtel of today – the largest mobile company in India. After spending a considerable amount of time in the UK, India, Thailand and Uganda, building his business empire, finally in search of a safe investment destination he moved to the UAE. He found Dubai promising, as it has immense growth potential, supportive business models and encouraging economic policies. 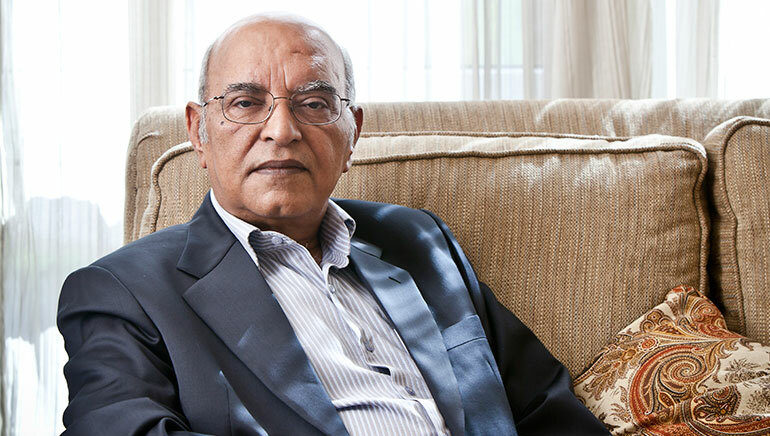 In 2009, he bought two buildings in Emaar Square for about USD 205 million, and established his new company – Kataria Holdings. Raghu Kataria feels that he did not just develop on a commercial front; more importantly, he has developed at a personal level, continuing to this day. The challenges of his early life stimulated his thoughts and enhanced his business acumen. He learnt to constantly find solutions and to never give up. Raghu Kataria has a vision to establish Kataria Holdings as a major global asset backed investment outfit. His primary strategy is to emphasize capital preservation and cash flow generation from assets purchased at attractive current cash yields and equity-like upside optionality whilst limiting the impact of severe downturns by instituting a perpetual risk management mechanism. His operational strategy is based on fundamental macro-economic research to establish predictive relationships between macro-economic factors and asset returns. These principles are implemented in a rigorous, systematic investment framework. The goal of the strategy is to estimate the dynamics of risk premiums across all liquid and semi-liquid assets globally in order to identify opportunities to deploy risk to maximize reward. “The world likes to deal with people and organizations they respect; and respect is not only the strength and size of the top or bottom line, it is equally the contribution one makes to the landscape it exists in,” says Raghu Kataria. Thus, Kataria Holdings is actively involved in giving back to the society in the realm of healthcare and education. It supports hospitals and patients both directly and indirectly and provides financial aid to deserving students for both their primary and higher education. Some of their recent initiatives have been the establishment of a Heart Foundation in India and supporting the establishment of the Jalila Foundation for treatment of children in United Arab Emirates.